Minutes from the U.S. Federal Reserve’s late-July policy meeting released on Thursday were mixed in terms of a possible earlier interest rate hike. Market reactions were mixed as well, as gold fell to a two-week low, bond yields dipped, and stocks and the U.S. dollar fell at first but then rallied. “The hawkish voices within the Fed have become louder. While the economic numbers are not very strong, they are definitely showing some strength,” said Jerry Webman, chief economist at OppenheimerFunds Inc. 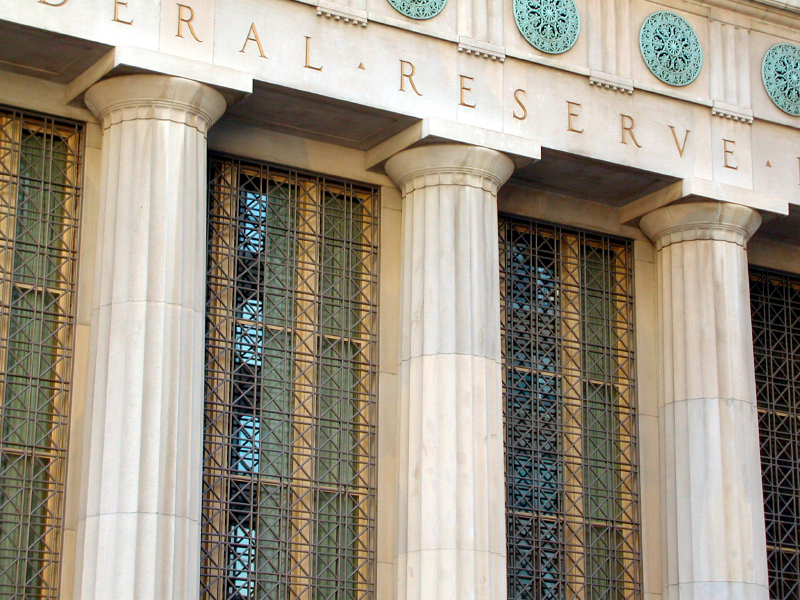 The full minutes of the Federal Open Market Committee’s (FOMC) meeting are available on the Federal Reserve’s website. Tomorrow, Fed Chairwoman Janet Yellen is scheduled to speak at a large annual economic summit being held in Jackson Hole, Wyoming. In other words, if its goals for the economy are reached sooner than anticipated, the Fed may raise interest rates sooner than originally planned. Fed-watchers have heard this before – in mid-July, Yellen said almost those exact words in her testimony to the Senate Banking Committee. The minutes show that policymakers agreed for the most part on the quicker-than-expected improvement in the economy, but disagreed on the exact timing of any interest rate hike. The unemployment rate has fallen significantly since September 2012, from 8.1% to 6.1%, while monthly job growth has passed 200,000 for six straight months. The FOMC’s goal for unemployment is 5.5%. However, policymakers are sticking with their earlier sentiment that “A range of labor market indicators suggests that there remain significant underutilization of labor resources.” This points to the higher numbers of long-term unemployment and part-time workers who would prefer full-time. The economy grew 4% in the second quarter of this year, which is better than expected. It contracted 2.1% in the first quarter. Although inflation has been picking up recently, several policymakers believe it will reach the Fed’s target rate of 2% “very slowly.” Annual inflation has come close to 2% recently, but Fed Chairwoman Janet Yellen has suggested the rise is temporary. In summary, exactly when the Fed will raise interest rates remains uncertain and depends on how quickly the economy continues to recover. The labor market is improving, the economy is growing again, and inflation is hovering around the Fed’s target, so it is clear that the economy is indeed making progress. If this continues at a rapid enough pace, the Fed will most likely take action sooner rather than later. Higher interest rates make borrowing money more expensive, which typically lowers inflation, strengthens the value of the dollar, and pushes gold prices downward. However, there is no right or wrong time to buy gold and begin securing your financial future. Call American Bullion today at 1-800-326-9598 to speak with a specialist about adding physical gold and other precious metals to your retirement account with a Gold IRA. Don’t wait to buy gold, buy gold and wait!